Here at Oak Electrical we like to give a bit back. Whether its a local hospice, a fun run or even something more daring. Every opportunity that we have to help and support a worthy charity - we like to put our hands in our pockets. In lieu of Christmas cards this year we will be donating the funds saved to Wakefield Hospice, a sentiment we hope you will appreciate. We wish you all a Merry Christmas and Happy and Prosperous New Year and look forward to working with you all again in 2019! 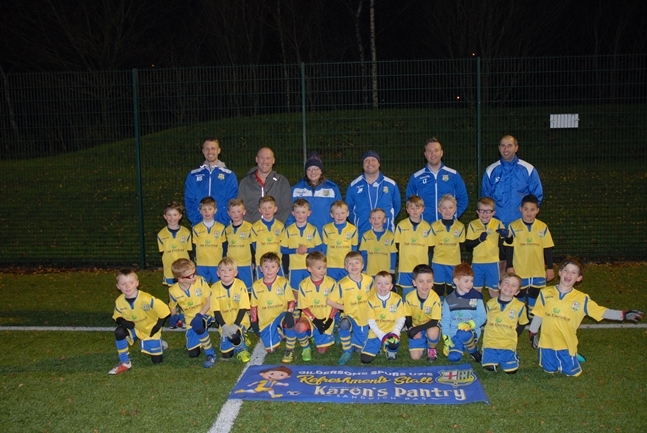 We recently sponsored Gildersome Spurs Under 7's football team providing them with a new club kit. In August 2018, as part of a community volunteering project alongside the Central England Cooperative Society and other volunteers, we refurbished the Ambergate Community Centre in Derbyshire. We installed new eco-friendly LED lighting to all areas of the centre, which is used to run local playgroups. Please see the before and after pictures of the project. At the start of the New Year we came across a charity called 'Be Brave Bears'. Run by volunteers, Be Brave Bears provide personlised bears to children who are terminally ill or have life-limiting conditons. 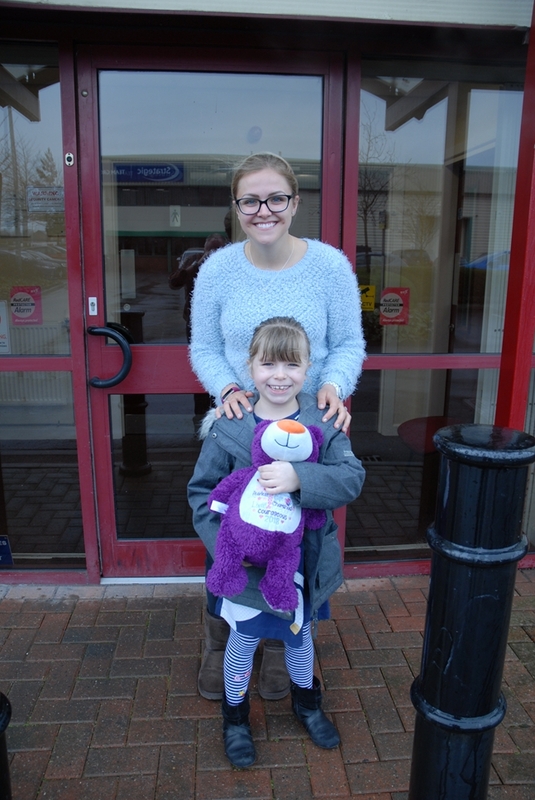 Through this charity we sponsored a bear for a local little girl named Holly Wilson who was born with congenital nephrotic syndrome - a very rare kidney disease. Holly was diagnosed when she was just two days old and began treatment lasting six hours at a time, four times a week from then on. Holly became critically ill aged three when she entered end stage renal failure and had both her kidneys removed two days after her fourth birthday. After seven weeks of being dialysis dependent every other day, Holly received a life saving kidney transplant from her mum, Natalie. Holly is now six years old and is a bubbly, outgoing and happy little girl who loves singing and dancing. Although Holly is growing and gaining weight she still attends hospital regularly for tests and checkups and will be classed as chronically ill all her life. There is no cure for Holly's condition and she will likely need a further transplant in the future. On the 30th September 2017 a team of cyclists sponsored by Oak Electrical completed “The way of the Roses” cycle ride in aid of Diabetes UK. 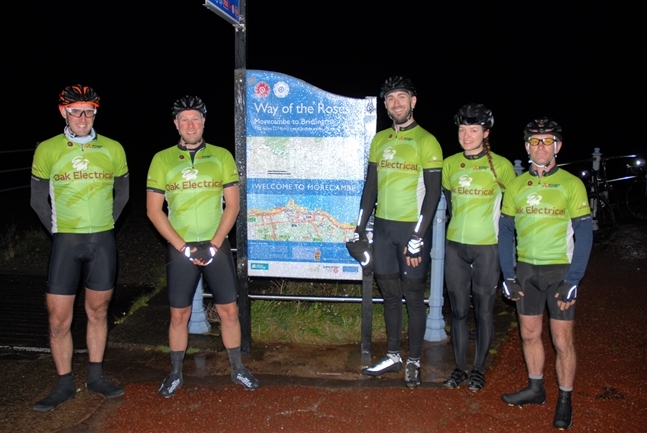 Lead by one of our project managers, Francis Rhodes, the team finished the 170 mile route from Morecambe on the West coast of England over to Bridlington on England’s East coast in a brilliant 12.5 hours! So far, over £3,000 has been raised with funds still coming in! All of us here at Oak would like to say a big thank you and congratulations to Fran and the team on their fantastic achievement! Or send cheques or transfers to Oak Electrical Ltd. We will acknowledge your donation and ensure that all monies are passed directly to Diabetes UK. Diabetes is a condition that affects many people throughout the world and Diabetes UK is a British-based patient, healthcare professional and research charity who are the leading UK charity that cares for, connects with and campaigns on behalf of all people affected by and at risk of diabetes. You can read more about the work that they do at www.diabetes.org.uk. You can read more about the route the cyclists will be travelled at www.wayoftheroses.info.